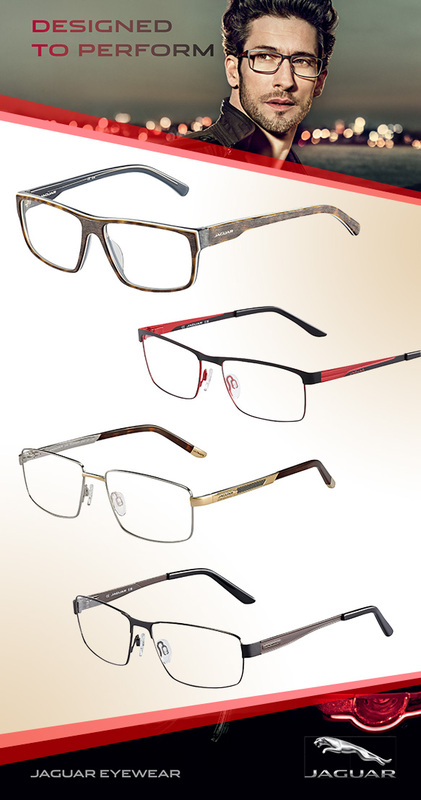 Boasting designs drawing influence from the brand’s infamous luxury automobiles, the fall season’s Jaguar specs are driven by sleek style, intricate detailing and masculine edge. Elegant wood grain accents are reminiscent of the vehicles’ dashboards; laser work mimics the cars’ grills; and special contouring is representative of the new F Type design. Meanwhile, these chic rectangular silhouettes are given a gentlemanly boost with metallic accents, not to mention a palette of tortoise, black and deep silver hues with pops of red and gold. Interested in taking these frames out for a test drive? Get even more deets here.